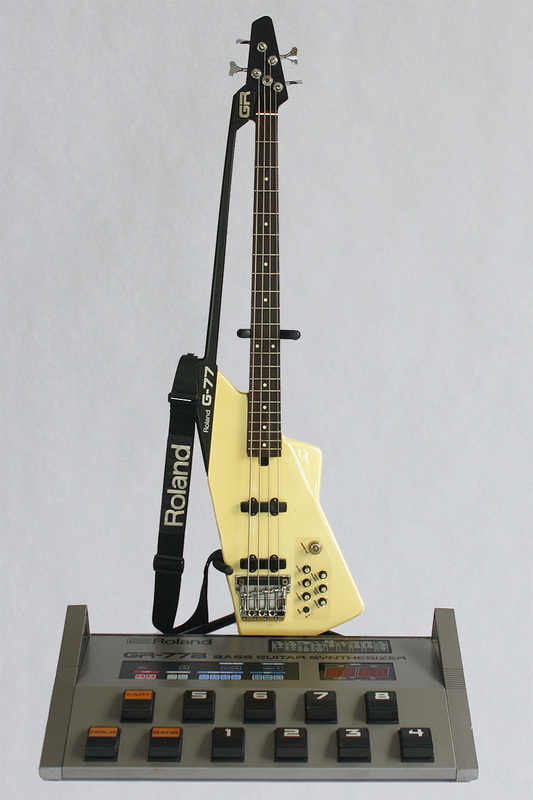 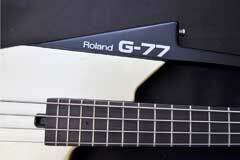 The Roland G-77 is the companion bass to the ground-breaking G-707 guitar. 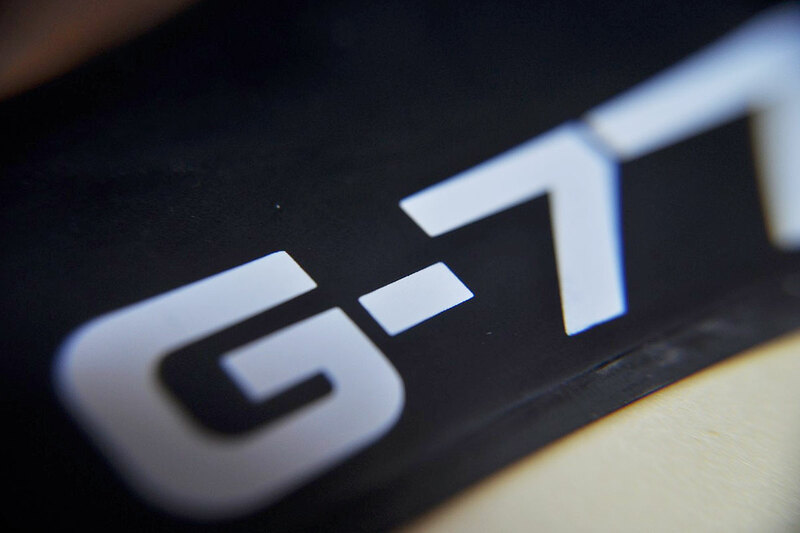 The G-77 shares the same ABS stabilizer bar and radical body shape as the G-707. 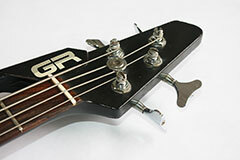 The G-707 guitar has a unique, one-of-a-kind Roland roller tremolo bridge, and similarly the G-77 also has a unique Roland-stamped high-mass bridge. 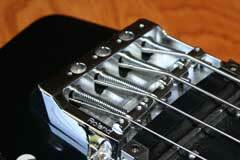 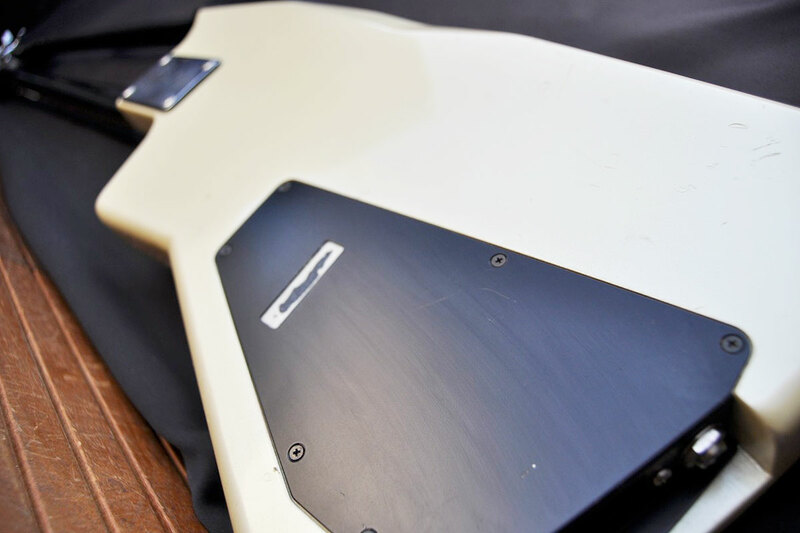 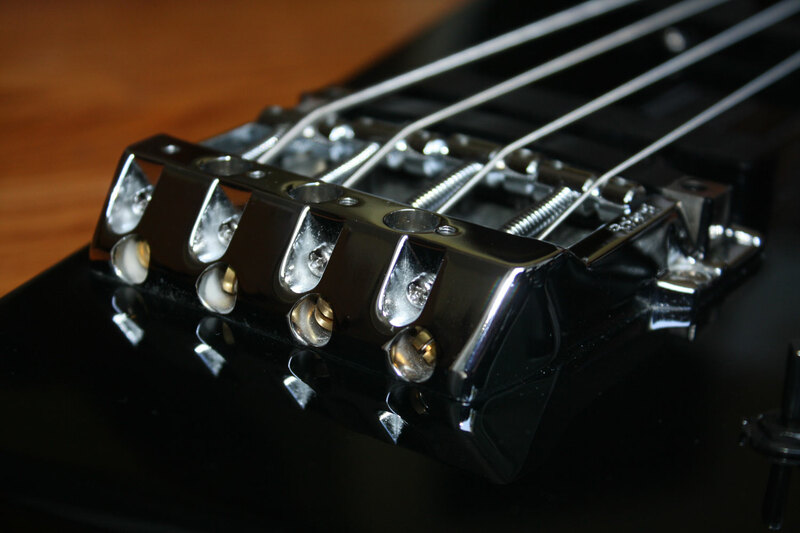 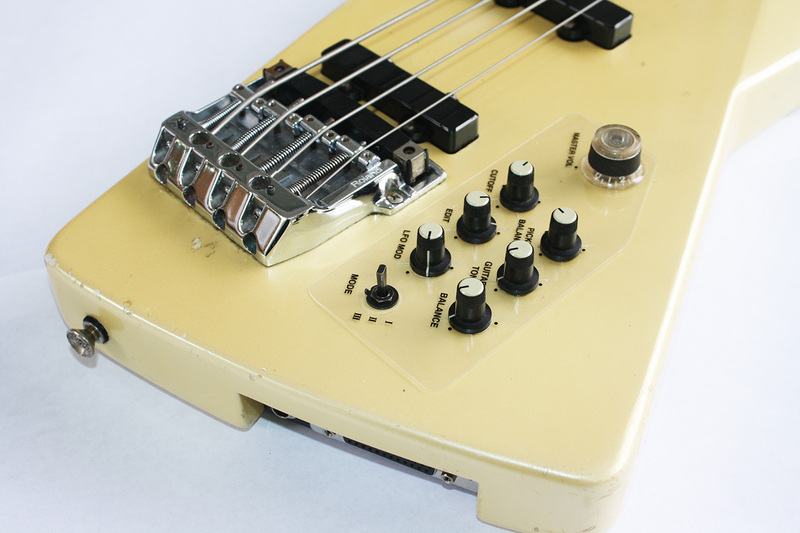 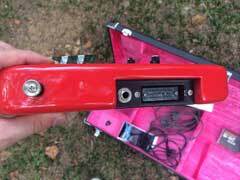 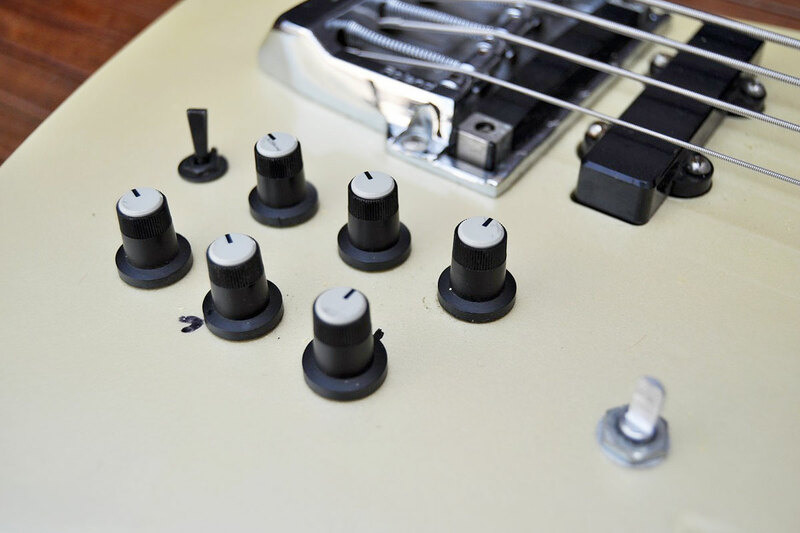 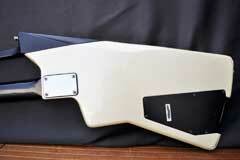 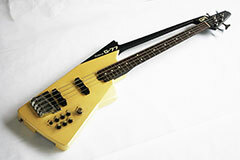 While the preceding Roland G-33 and G-88 basses had set, or neck thru-design, the G-77 has a Fender style bolt-on neck. 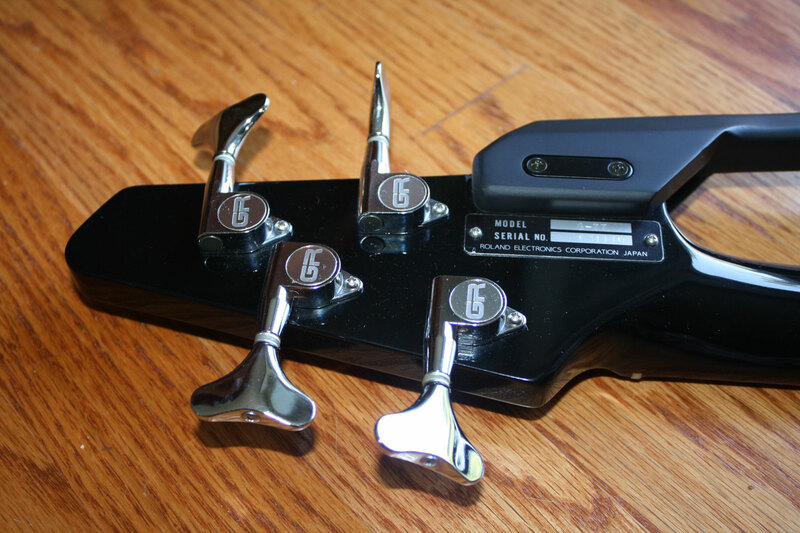 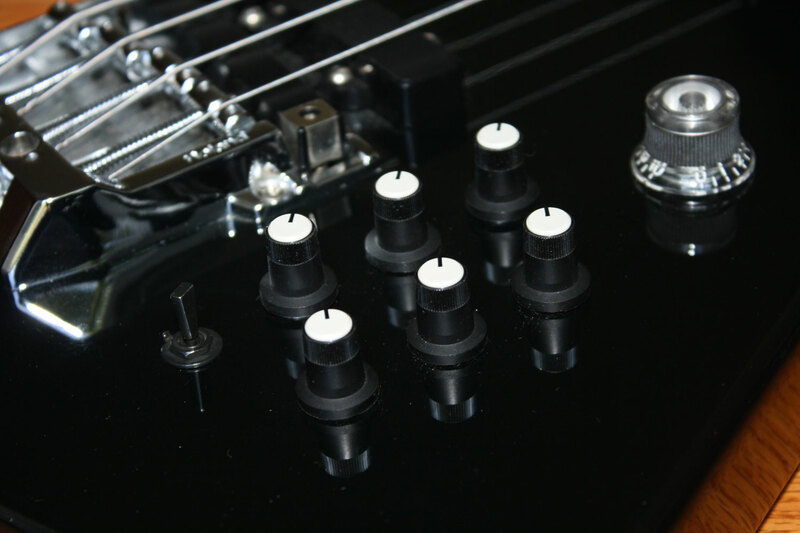 The G-77's passive electronics package offers a single tone control plus a pickup balance knob to control the mix between the two single-coil Roland pickups. 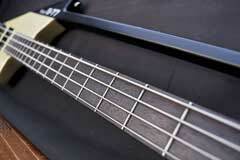 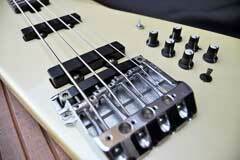 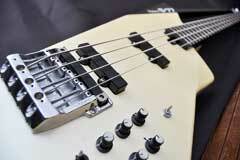 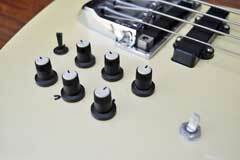 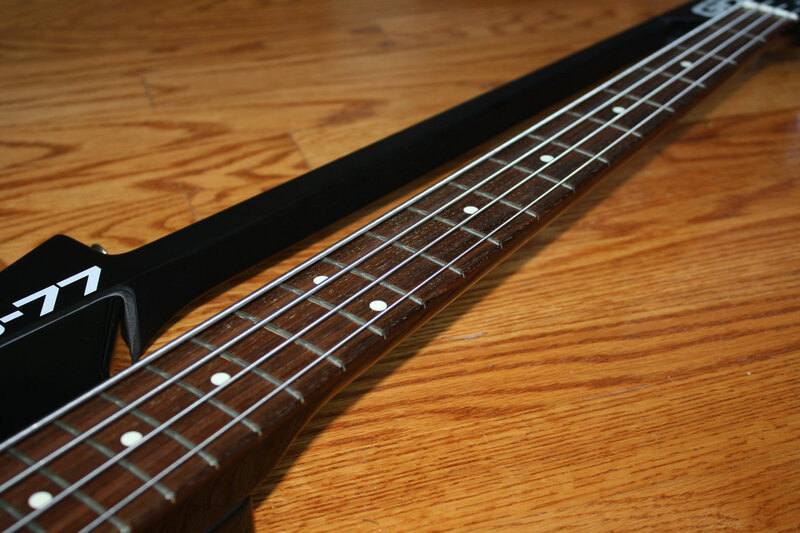 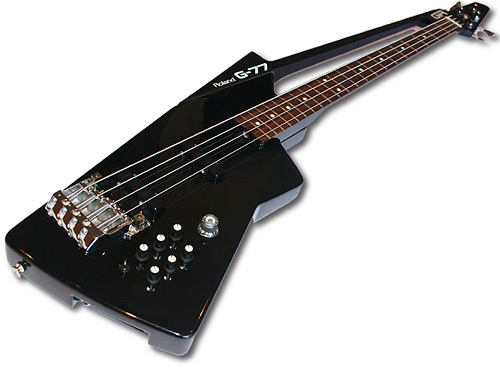 Like the G-707, the G-77 bass challenges preconceptions of what a bass guitar should look like. 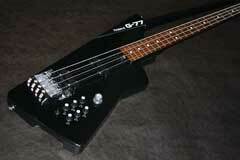 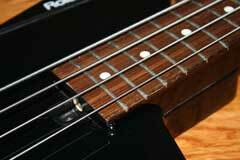 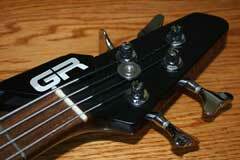 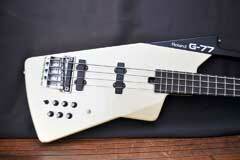 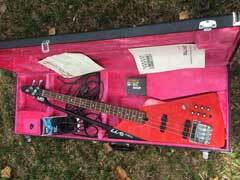 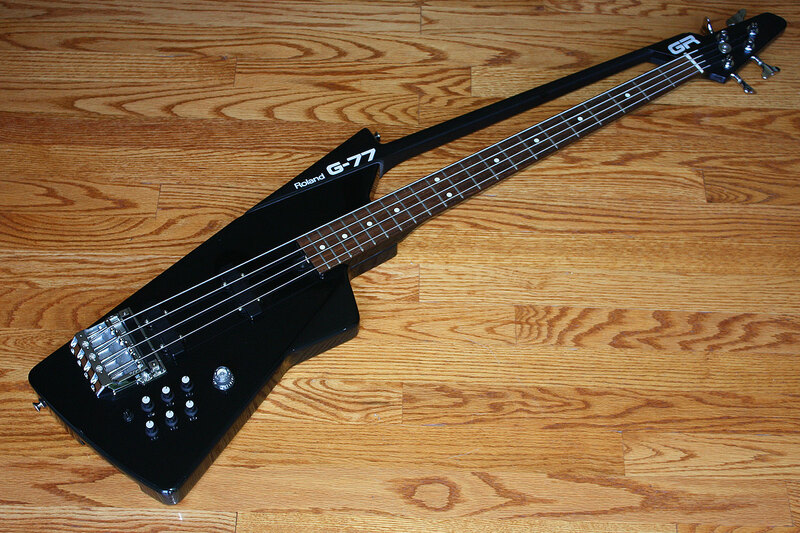 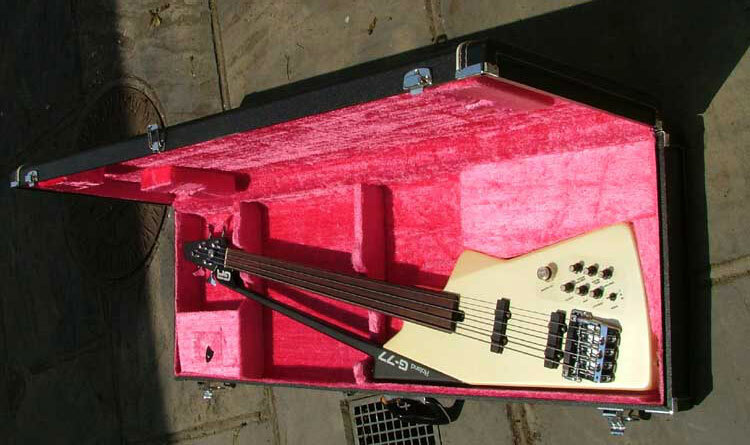 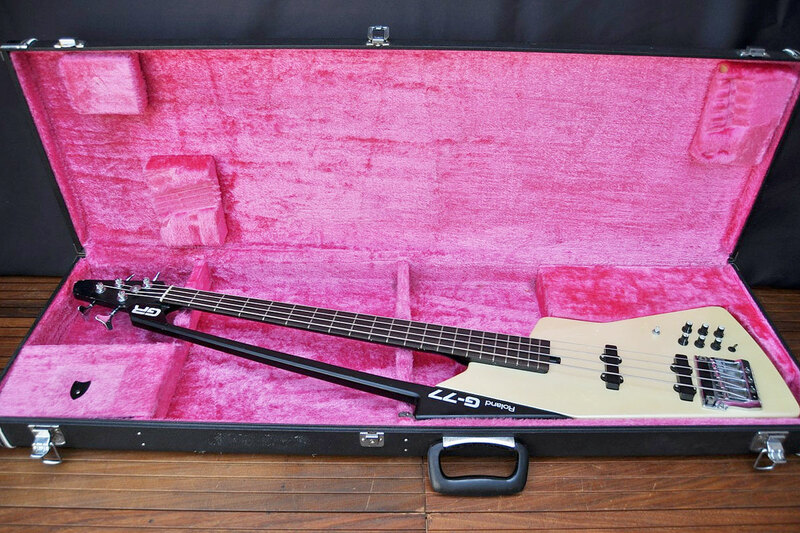 And like its sibling, the G-77 is a very musical and playable as a conventional bass. 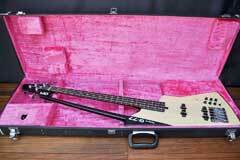 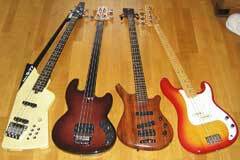 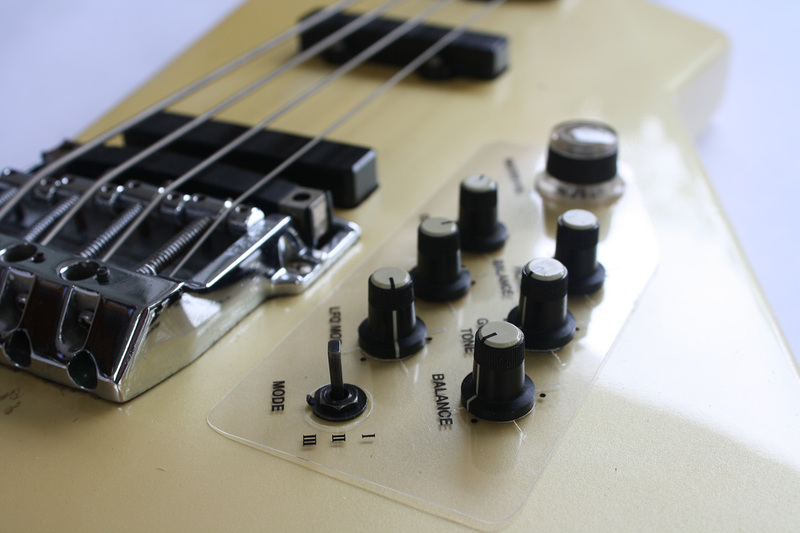 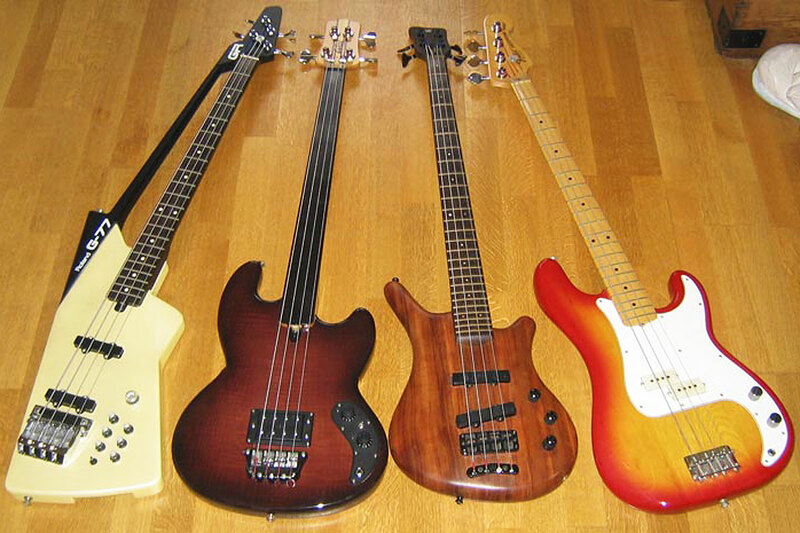 Bass guitar synthesizers always appeal to a much smaller buying market than guitars, so it is no surprise that these fine instruments are rarer than the guitar versions. In addition, latency, always a problem for guitar synths in the lower registers, is even worse in the bass range. 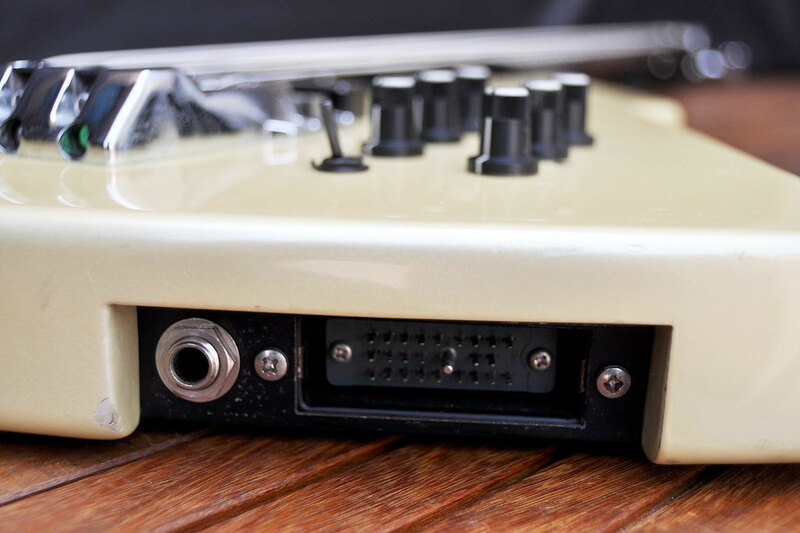 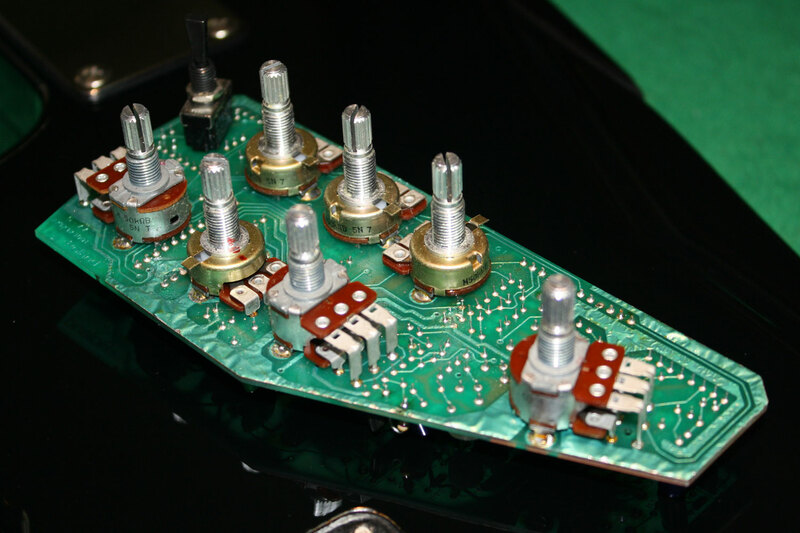 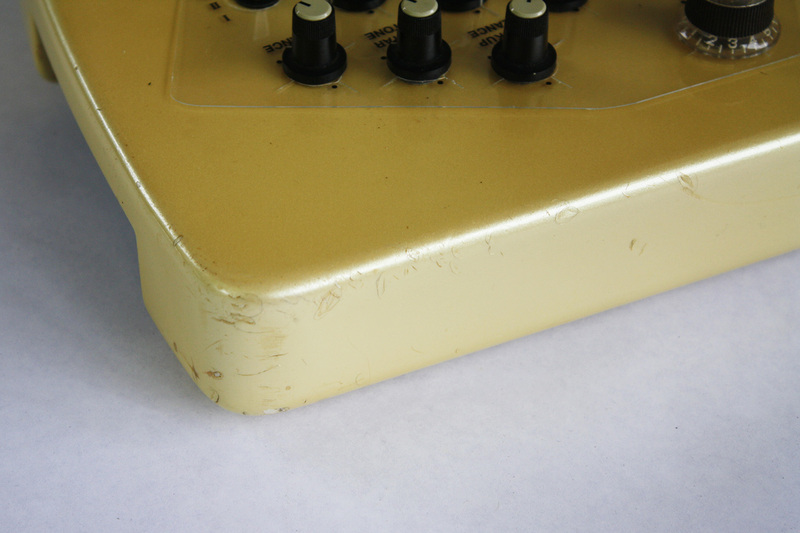 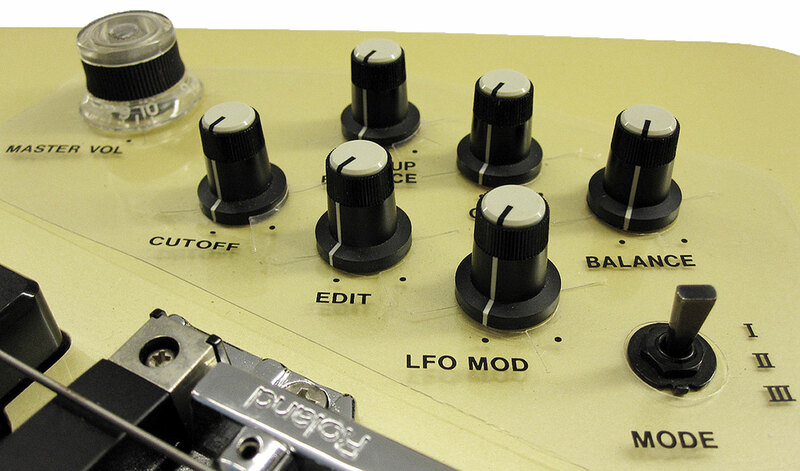 As Roland expanded the universe of guitar synthesizer controllers by offering the LPK-1 and STK-1 guitar synthesizer retrofit kits, so the electronics package of the G-77 was made available as the BAK-1. 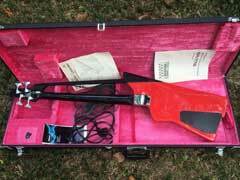 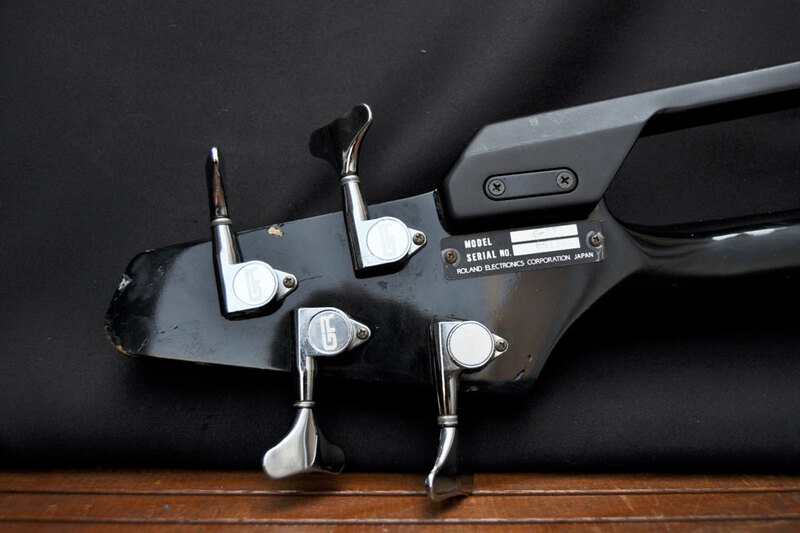 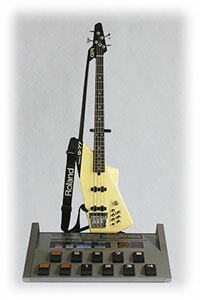 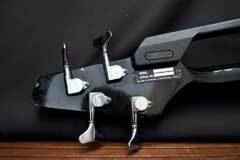 However, unlike the guitar version, there is no record of a mass-produced bass manufacturer offering the Roland BAK-1 kit as a factory option. 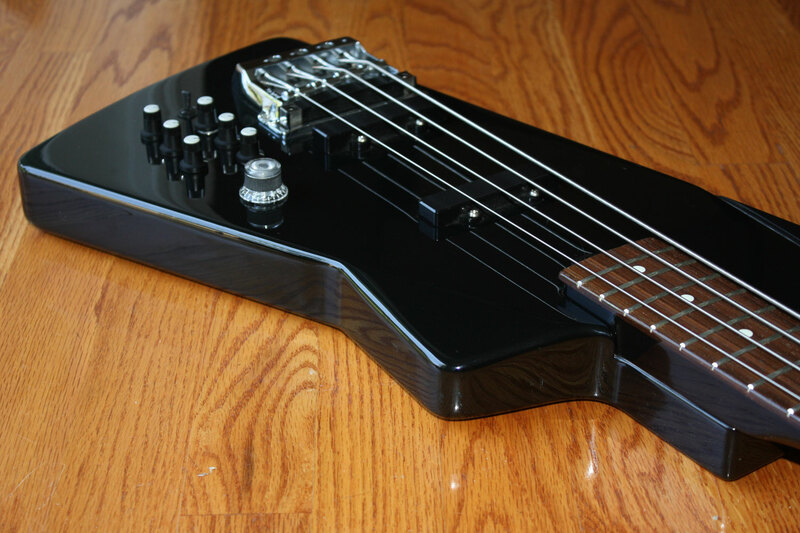 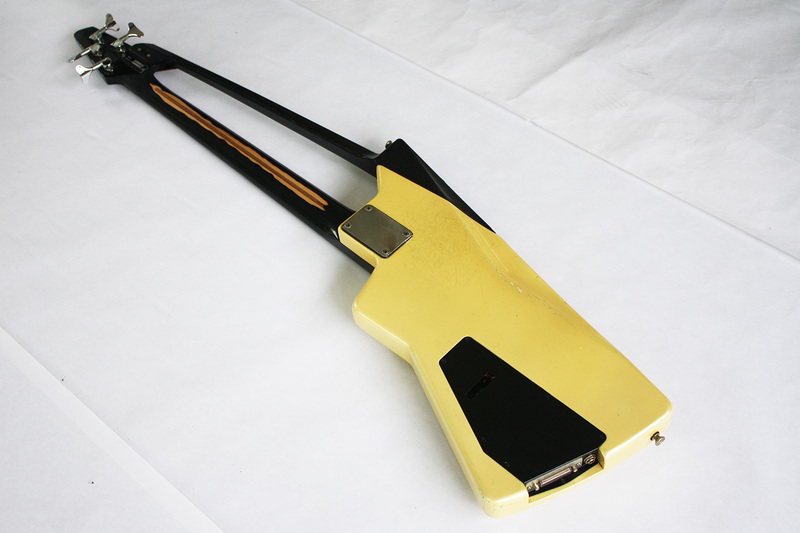 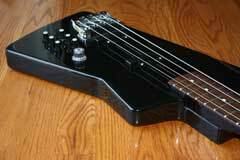 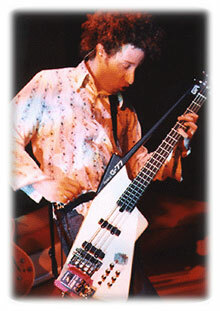 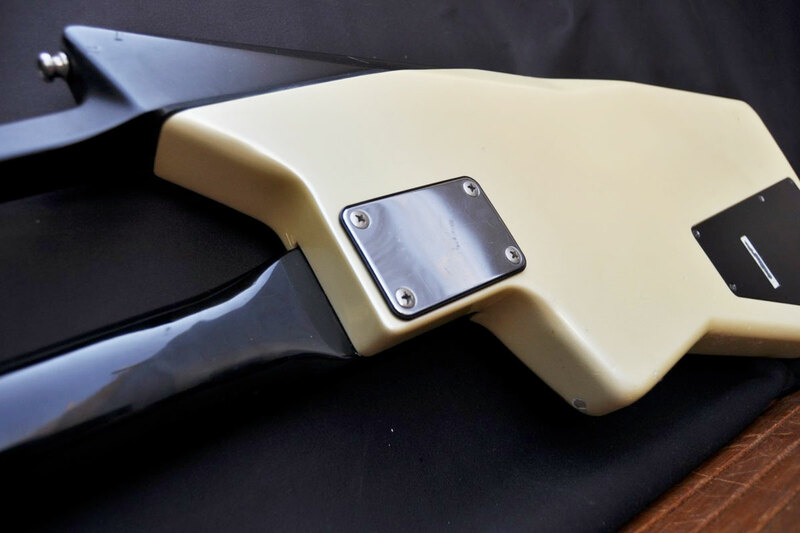 Steinberger did produce a 24-pin bass controller, the XL2-GR Bass, but the Steinberger guitars and basses use electronics cards produced by a third party, and not standard Roland electronics. While specifically deisgned for the GR-77B bass synthesizer, the G-77 also works with the Roland GM-70 pitch-to-MIDI converter. 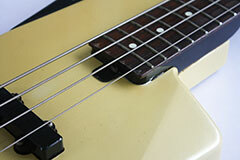 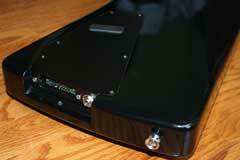 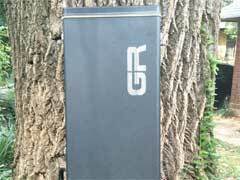 With some modification, the G-77 can also be used successfully with the GR-33B bass synthesizer. 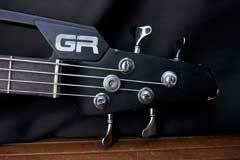 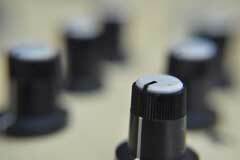 A side note: unlike the G-33/G-88 basses, the G-77 LFO pads only operate in "touch" mode. 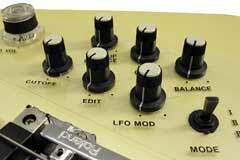 The G-33/G-88 basses have a latch mode which keeps the LFO on indefinitely. 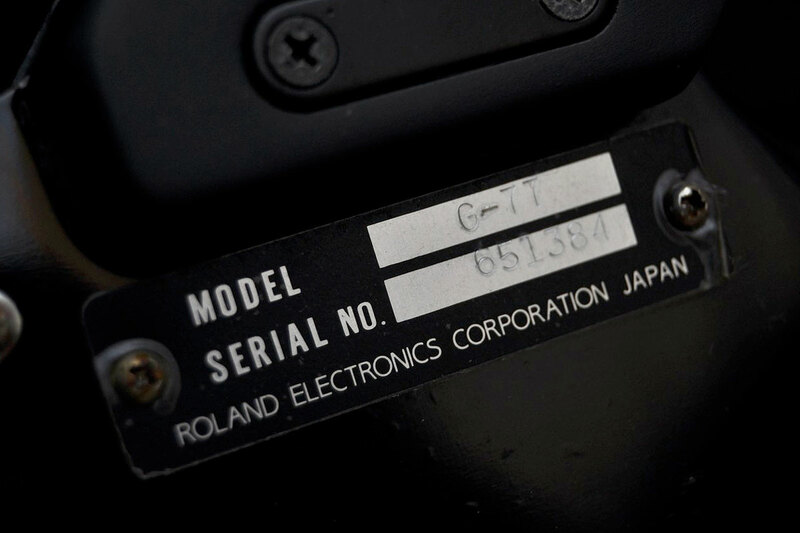 When used with a Roland BC-13, or BX-13 series, the G-77 can be used with modern 13-pin synths, like the Roland GR-55 or VB-99. 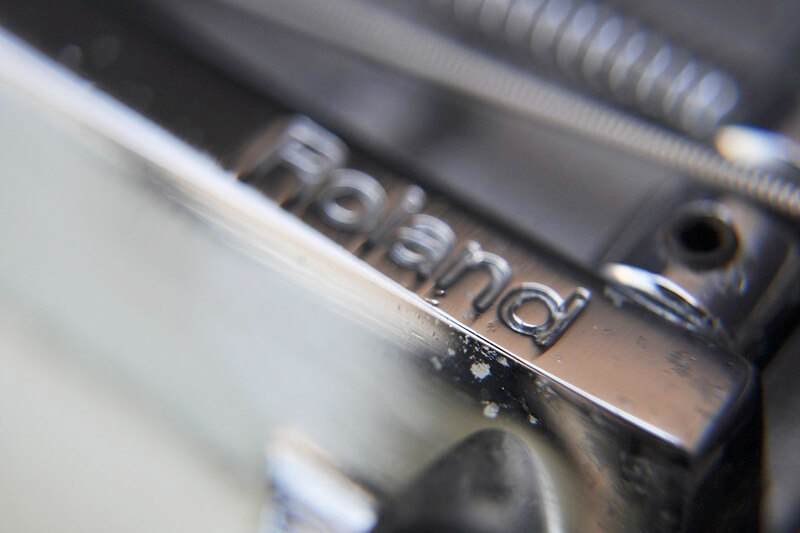 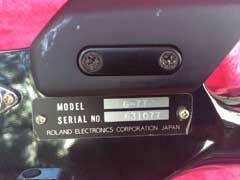 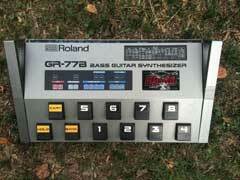 The G-77 is the last full instrument produced by Roland during the vintage 24-pin era. Justin Meldel Johnsen's take on playing the G-77 bass. 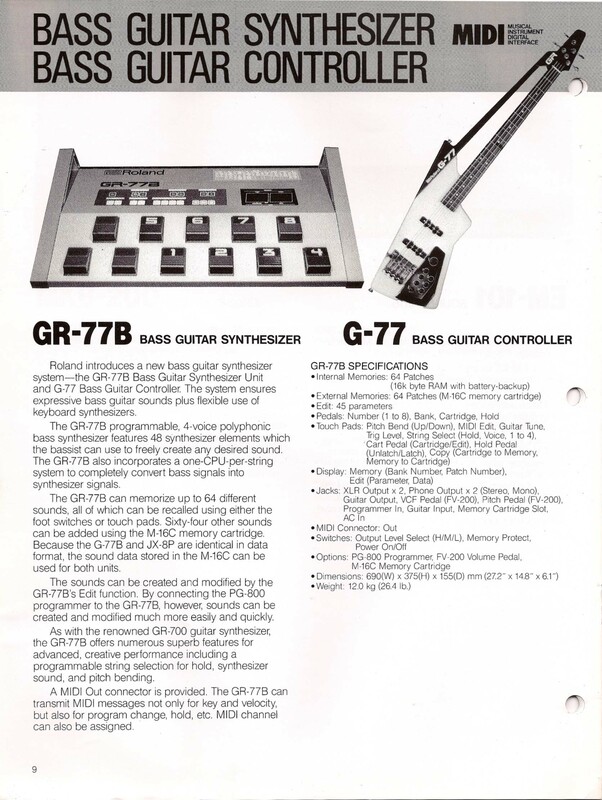 GR-700 and GR-77B System Review and Details Guitar Player, June 1986. 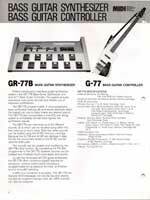 Download the exclusive high-resolution G-77 Owner's Manual (pdf). 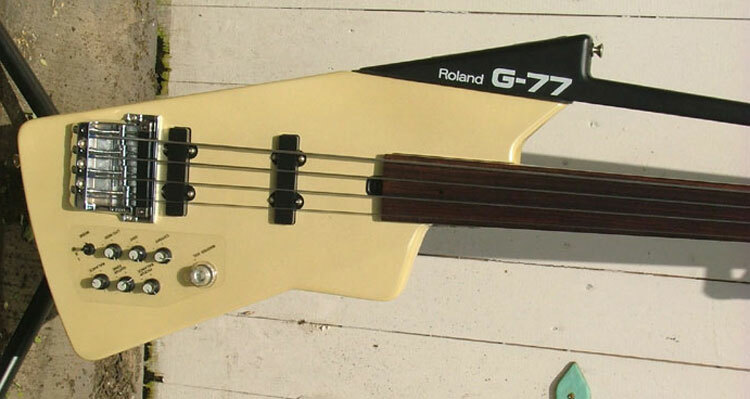 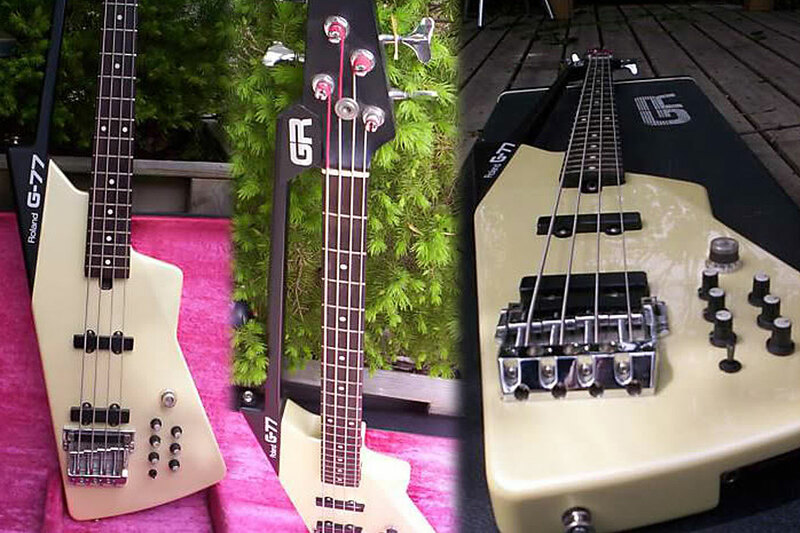 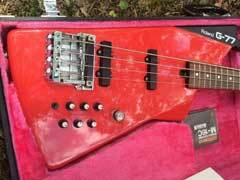 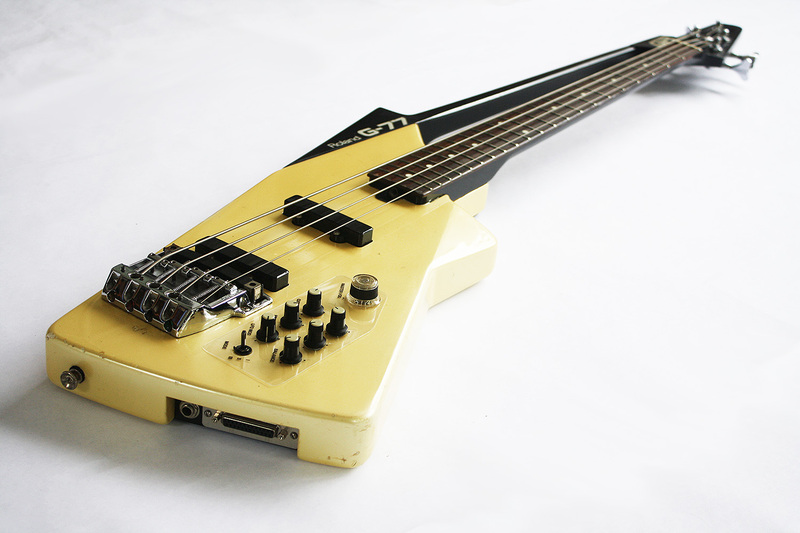 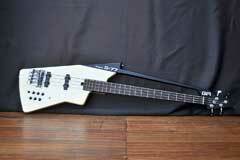 Perhaps the rarest of all Roland G-77 basses is the fretless version. 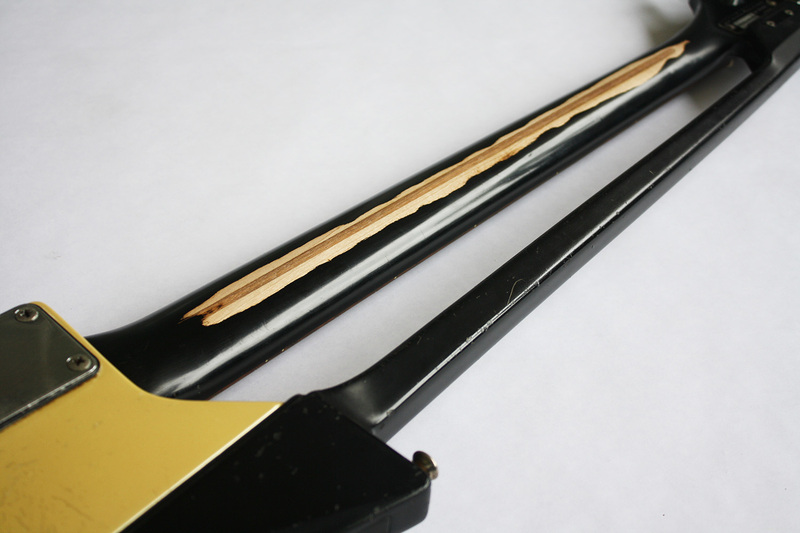 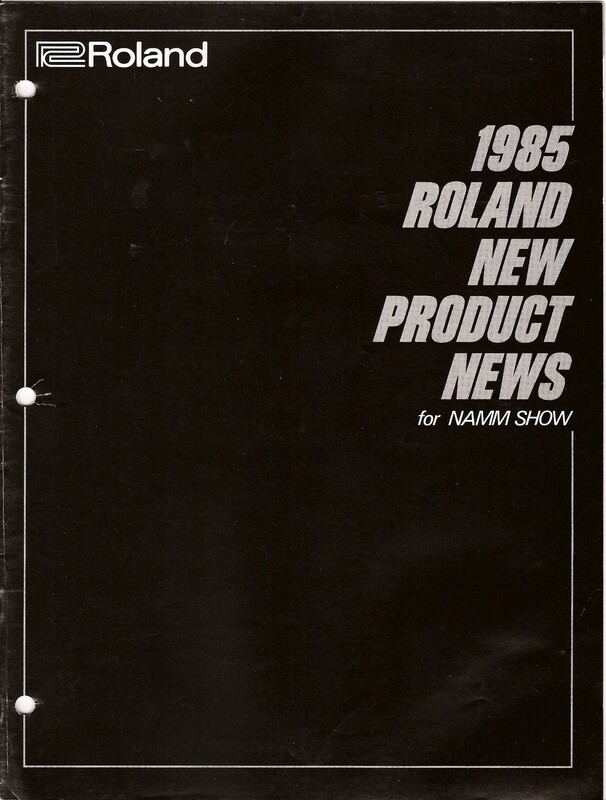 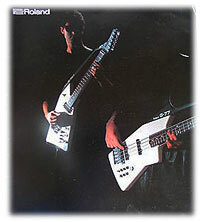 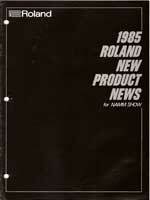 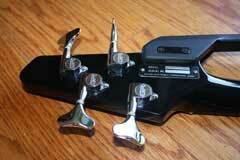 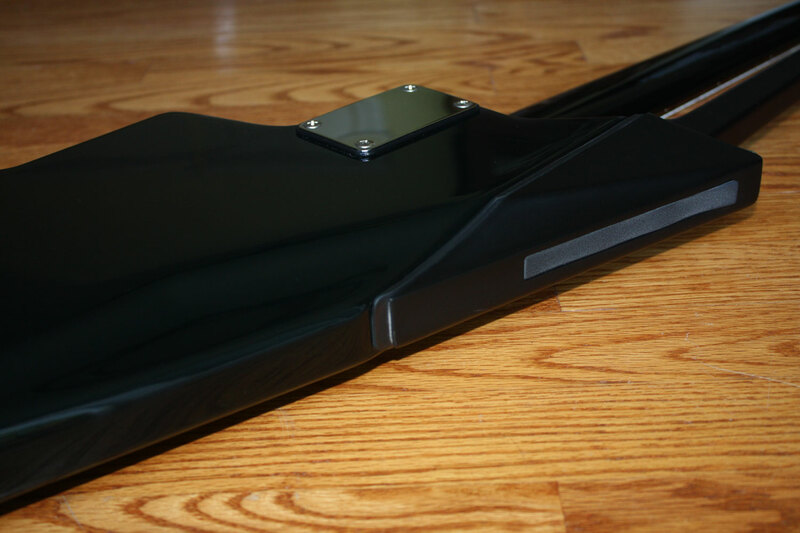 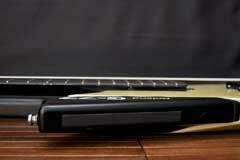 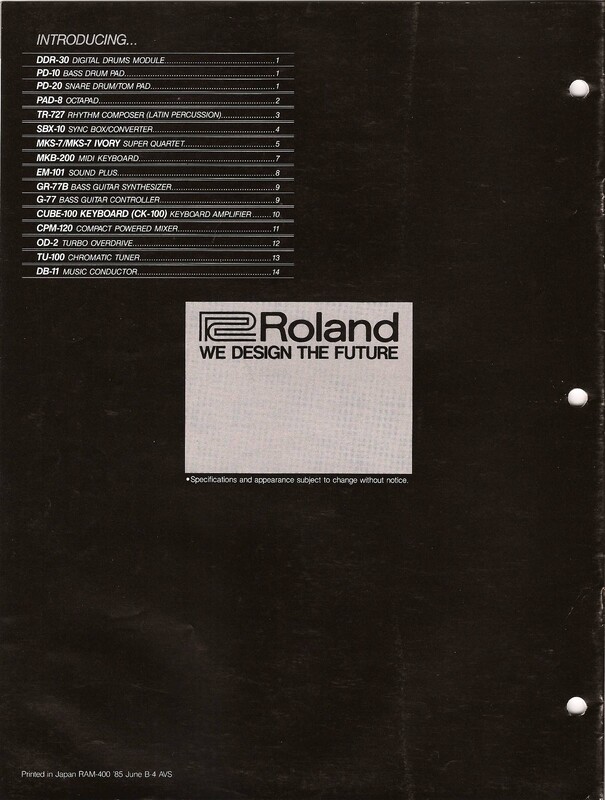 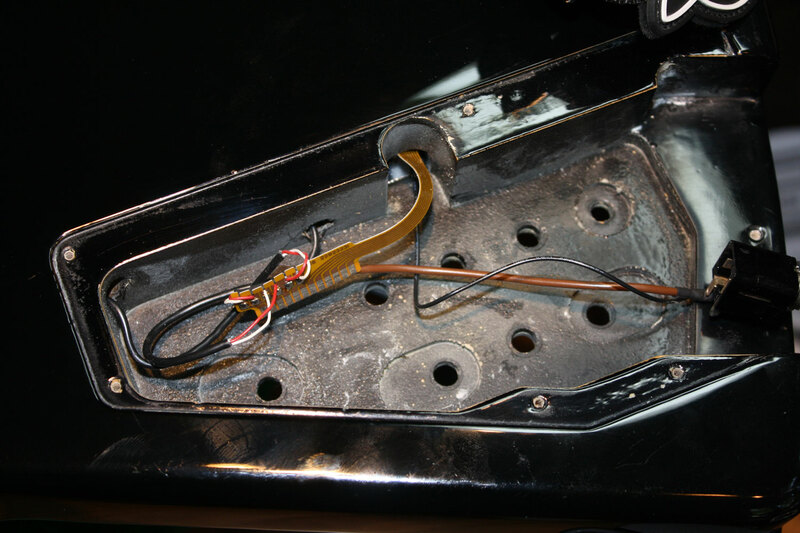 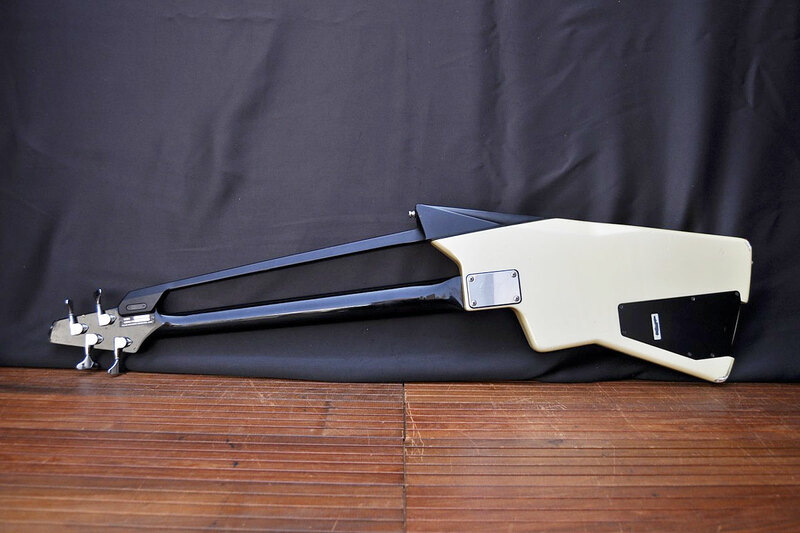 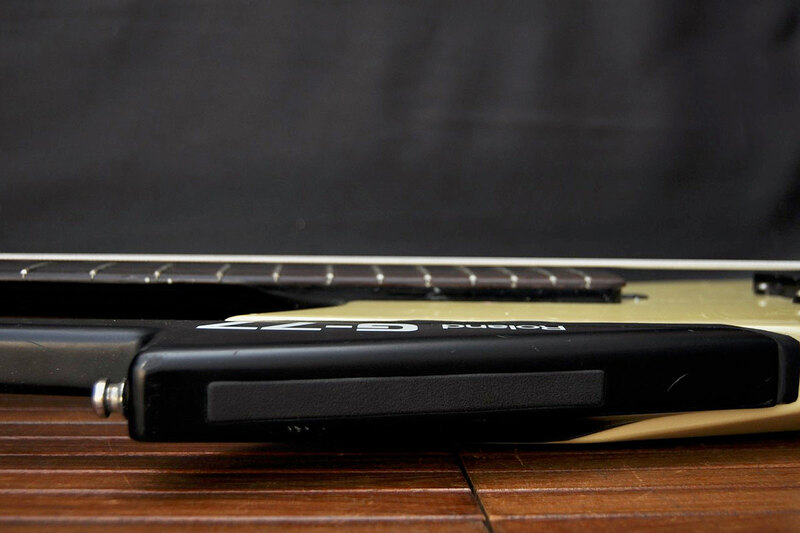 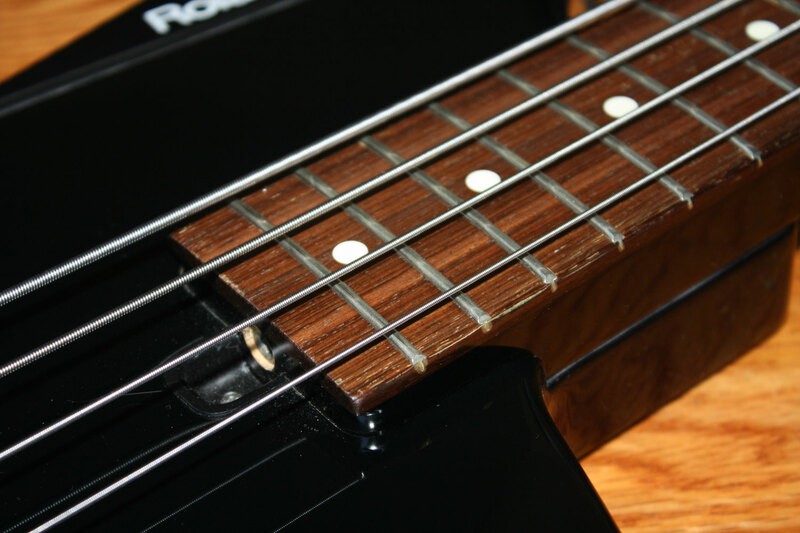 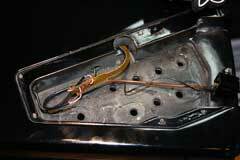 A review of the Roland product brochures reveals that Roland did offer fretless as a factory option. 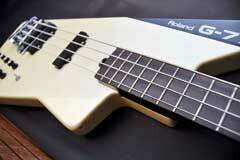 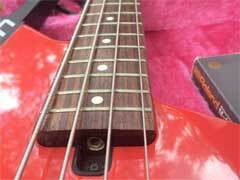 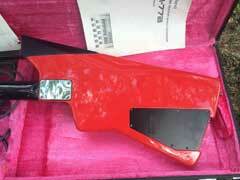 Dave Swift is the owner of the only Roland G-77B fretless bass I have ever seen. 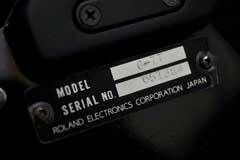 No modifications posted at this time. 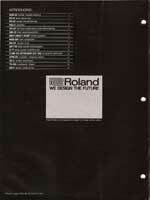 There are no known service bulletins from Roland addressing any G-77 problems. Download the G-77 Service Manual. 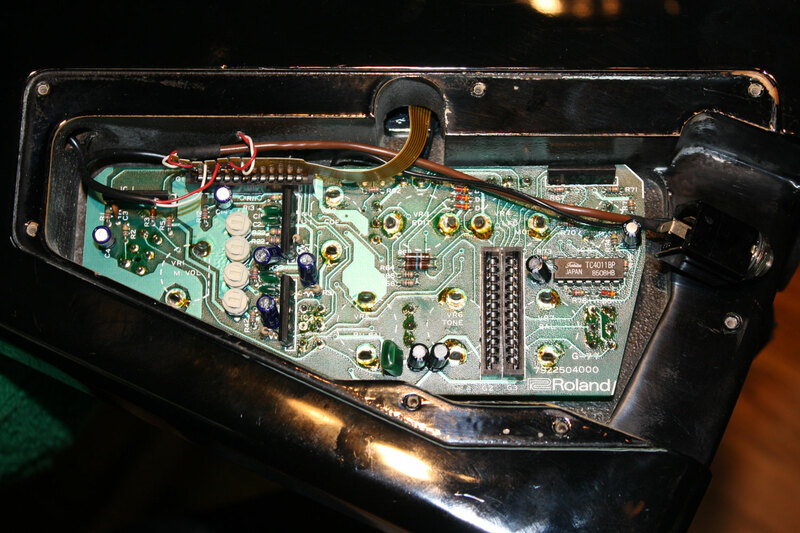 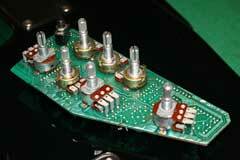 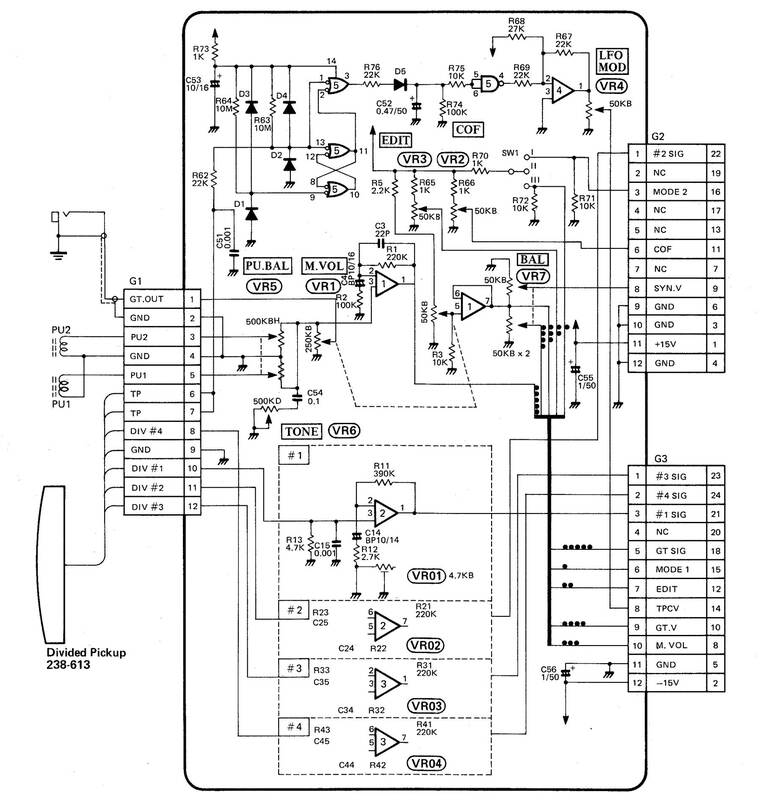 More information on potential M5218 opamp failures in vintage Roland compatible guitars (one string stops working).